Induce a modish touch to your appearance by opting for this pair of dungarees from the house of Lovegen. 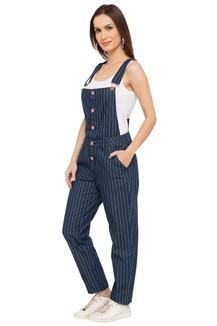 It comes with a square neck that renders it trendy while the stripe pattern it comes in, enhances the fashion quotient. Moreover, it has been crafted from premium quality fabric that will keep you comfortable throughout the day. 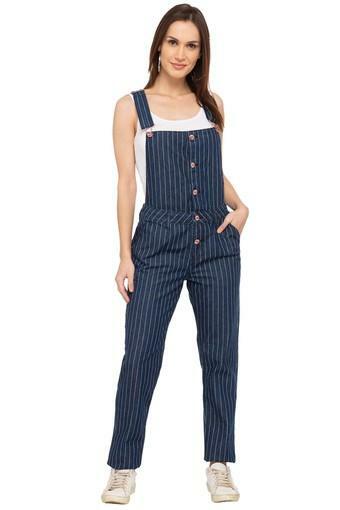 Get a trendy look as you wear this pair of dungarees with platform sneakers. 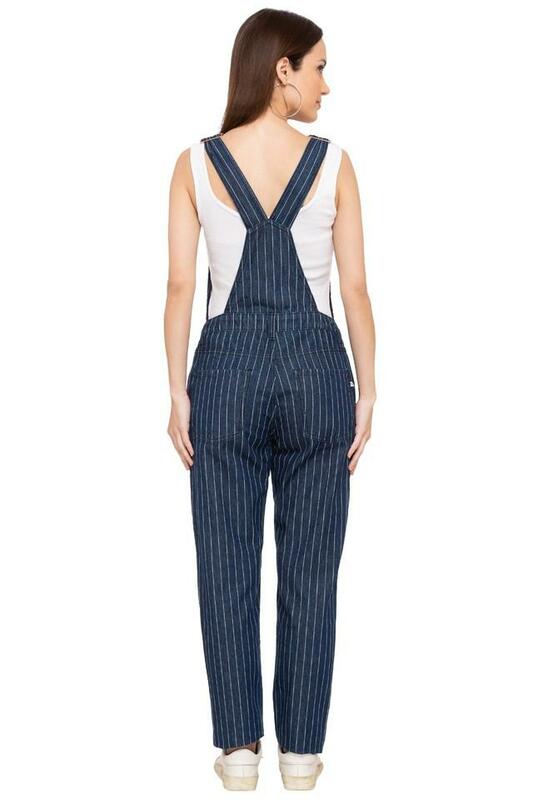 It comes with a stripe pattern that renders it elegant yet chic.